Nigeria they say is a country with vast economic resources and massive potentials for greatness. Since we attained independence on the 1st of October 1960, we are yet to achieve our full potentials. It is always the usual problems of our leaders being the bad eggs mismanaging the state's developmental funds. The past five days starting from the 28th of April till 3rd of May 2015 as I write this article could make one renounce his Nigerian citizenship. Being tied to this country comes with vast pains. Apart from the 62% of the Nigerian population living below $1.25 per day which is the poverty line drawn by the World Bank, the fact remains that the basic amenities are not there to encourage one to live in Nigeria. 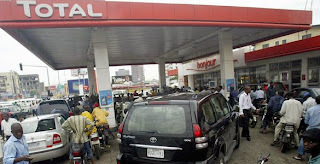 Fuel scarcity in an oil rich state in the 21st century is actually a slap on our face. We can't boast of good motorable roads. In Nigeria, the roads have gotten so bad that we don't avoid or dodge pot-holes anymore; we actually make the inevitable choice of choosing the one that could give our cars less damage. I will like to digress a bit and make this article so personal which is the idea I had in mind. It’s no point addressing the problems we are already familiar with. The last few days haven't been comfortable for everyone. Fuel means so much to us. I am a struggling writer belonging to middle-class society or maybe somewhere below that. It has been financially tough going to work. I have a budgeted amount of money on transport per month. This has actually doubled, I pay my transport fare sobbing like a kid in my heart but smiling like all is well. This abrupt increase in my cost of living has affected my lunch time at work. I decided to cut my feeding allowances to stay alive. This is pitiful. I am a very slim person and I have no extra pounds to shed. Will I shed my blood? God forbid oh! More drama continues at work. The air conditioner only runs on the PHCN light, it doesn't run on fuel just to reduce cost. For this reason, I endure the maximum heat at the office because for sure PHCN known for restoring much of darkness than light will never change their ways. Imagine the kind of heat that emanates from 8 laptops and 2 desktop computers in a single room. That is my plight. The company spends more on the cost of production. Incidentally, this may affect the prompt payment of my salary or the company paying for labour at a loss. Nigeria is a place where most entrepreneurs die with their dreams. Some either fail to pursue their dreams due to a lack of an enabling ground or probably start and fall by the road side. When your boss passes by with his face frowned, thousands of miles away from a smile. Your heart beats faster with the fear that you might have made a mistake in the course of work but mostly it’s not so. How can a business owner smile when he runs on power from a generating set almost throughout the day at double the conventional price? It gives you the feeling that the witches in your village have trailed you down to the city. You head home after work sadly and quietly paying another hyper-inflated amount as transport fare after being frowned at by several commercial motorcyclists in your quest for a cheaper deal. You get home feeling tired only to face the reality of darkness. The water project is a forgotten issue in Nigeria. We have given up on the government in that aspect. We have assumed the role of ''local governments'' providing such facilities for ourselves. You either sink a borehole or dig a well and distribute the water with a pumping machine. With your little strength, you realize there is no water available to have a decent bathe. You decide to pump water but you simply can't do that because there is no light. The reality of the power problem is that PHCN or any name given to the power company owes nobody any explanation. They hold a gold medal in providing adequately the opposite of light despite the N550 billion President Goodluck Jonathan invested in his 'pocket' through the power project. Since there is no power to pump water, you dare not use the generating set due to the scarcity of fuel. The last option is probably getting a water drawer/fetcher to pull out water locally. With someone like me who doesn't have one, I have to resign to my fate of sleeping with my sweaty body in utmost discomfort. All nights, as Nigerians we all get unwelcomed visitors. They strive better when the lights are off. They are female visitors; I mean the female anopheles mosquitoes lol Anybody who had been threatened psychologically or physically about ''Xenophobic attacks" needs to come see the "Mosquitophobic version'' in my room. Which government will I actually report them to? I wish there was an International Criminal Court for them where I would have sought for redress. You spend most of the hours of the night awake staring at the ceiling of your room due to the incessant romance you get from these 'unwanted females'. You try to cushion the effect of the long or crazy night by fiddling with your phone but you later realize your Smartphone battery especially blackberry phones have their own personal problems of batteries to deal with. As you switch your phone on, it tells you the battery is too low for radio transmission. You try to settle for the next option playing music videos or probably some nice downloaded tunes on your phone but in less than 5 minutes, it bursts your bubble. You get the message ''battery drained, handheld shutting down''. The night becomes longer; the last option would be to settle for a sleeping pill lol. This tells you how painful it is to be a Nigerian. 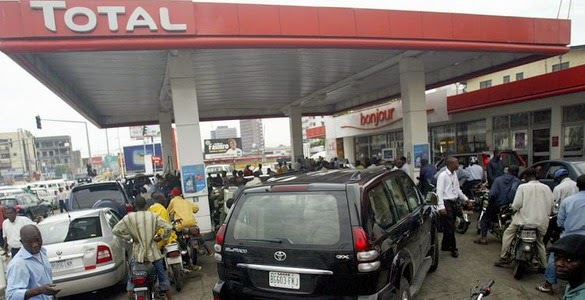 A country afflicted by the curse of oil. At your free time, you can read about the 'resource curse' this isn't a political science class. Back to my plight, its 3am already, Friday 1st of May 2015 and I can't find a decent sleep. My room is so hot. Probably the landlord considered the location for a bakery before changing his mind. I am still hoping to sleep. Rolling from one corner of the bed to another. It’s the workers' day. It’s supposed to be a free day but not for all workers. I am a newsman, I have to be at work but how can I head to work tomorrow with no means of transport? How can I communicate with my colleagues when my phones are dead? What if I decide to stay back at home? How can I leave my house to visit friends to kill boredom? I am not a fan of trekking or paying unannounced visits to people. Meanwhile, shout out to the legendary Buhari trekker Suleiman Hashimu, going by foot from Lagos to Abuja and other wannabes taking the desperate and hardest success route. You will not blame them. When your certificates can't deliver you from poverty, your legs could be mandated to deliver you. Maybe I will get inspiration from them and simply trek. Yes, it’s a trekking regime hahaha. Most certainly it will be another boring day for me. It hurts to be a Nigerian. I read we still have 17 Nigerians on death row after the execution of the other 4 last 2 days in Indonesian prison since 2008 from the visit Abike Dabiri (the Chair of the House Committee on Diaspora Affairs in Nigeria) and her entourage made. This accounts for why some Nigerians desperate for success will prefer to take that deadly risk to achieve just ONE thing for themselves despite the wide publicity of a death penalty for drug traffickers in Indonesia. Even in South Africa, despite the menace of xenophobia that has led to the gruesome murder of foreigners, only 8 Nigerians officially submitted to the Nigerian Consulate in South Africa to return home. Others prefer to die there than return empty-handed to their expectant Nigerian friends and family they must have fed with enormous lies. The only success our leaders have recorded is gulping all the state funds successfully. If you think I am lying, check their pot-bellies. Some of them have been pregnant for 20 years lol I learned Kashamu Buruji carries twins in his tummy. I wish him a safe delivery. I can feel sleep finally coming readers, this note should end here. Thanks for sharing my pains with me. We hope our problems end with Buhari who has taken back all his sweet promises during the electioneering campaign. That old man sha. Hmmm. Thanks for sharing my pains with me. I remain your blade-writer Osayimwen Osahon George. God bless you.